Do you need to get dinner on the table without much thought? 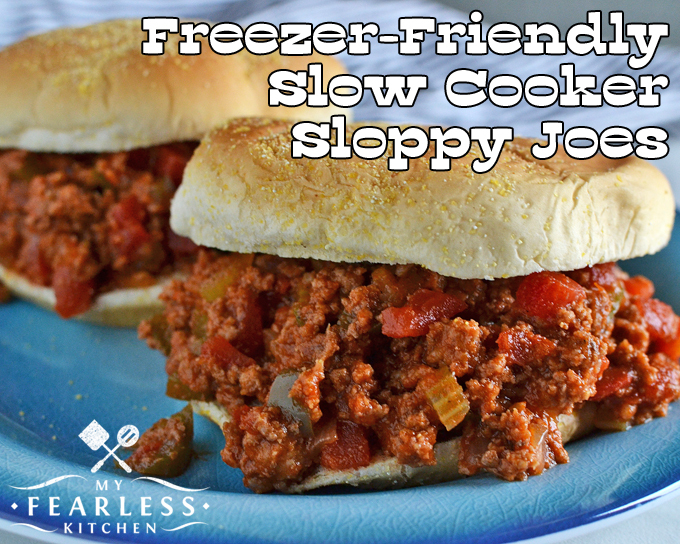 These Freezer-Friendly Slow Cooker Sloppy Joes do the trick with plenty of meat and vegetables! We love recipes for freezer meals in this house. 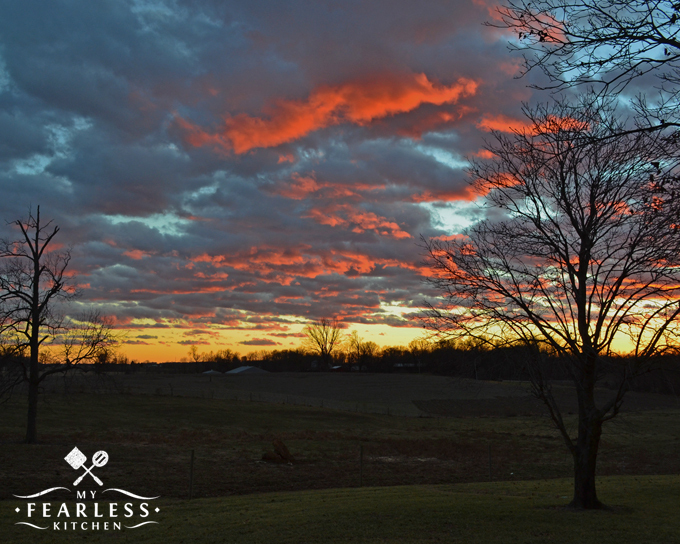 Since John works full time at our veterinary hospital and runs our farm with his dad, there are times that we are all running flat-out busy from sunup to sundown. Sometimes we (and by “we” I mean John… because let’s be honest here… mornings are not my thing) hit the ground running before dawn and don’t stop until well after sunset. The busiest time of year for us is late winter/early spring and the summer. Our calves are usually born between February and April, so we are all on high-alert for momma cows giving birth. Summer brings grass growing, which means that hay needs to be cut, raked, baled, and stored for the winter. There’s a reason for the saying “make hay while the sun shines” – when the weather is right, we go all out to get the hay cut and inside before it rains. Add in the maintenance of our large vegetable garden, and it makes for some late, tired nights! And these are the days that I rely on my freezer meals to feed us. 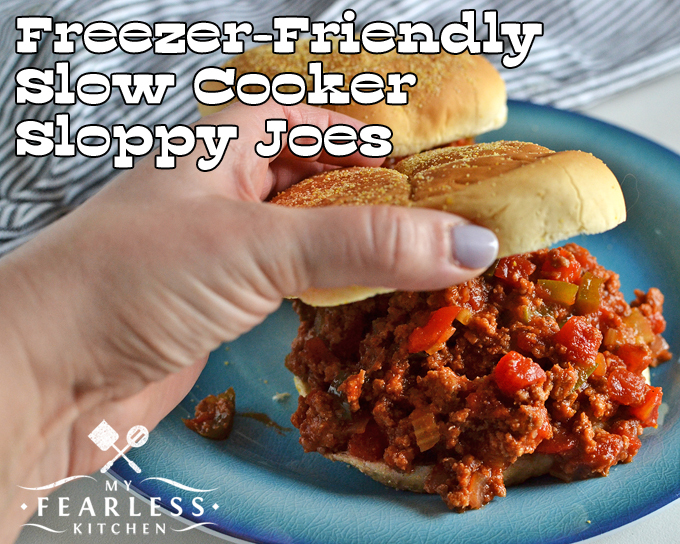 All you have to do for these Slow Cooker Sloppy Joes is thaw the bag in the refrigerator overnight, toss everything into the crockpot the next morning, and dinner is ready when you are. I found this recipe in Freezer-Friendly Recipes by Gooseberry Patch. I adjusted the recipe a bit (and made it in my Crockpot!). It really is the perfect recipe for a freezer meal! Getting this recipe ready for the freezer was especially fun because I did it with a group of my farmwife friends! We all got together, had a freezer meal party, and made 64 freezer meals in 2-1/2 hours! It was a lot of work, but it was also a lot of fun, and well worth it! You can check out our party on Indiana’s Family of Farmers Facebook Live videos here and here. Are you wondering about all the yummy recipes we cooked up? You can find the entire list here. You’ll want to make every single one of them! My friend Cherie at The Queen of Free has some great tips for you to plan your own freezer meal day. I’ll add one more tip of my own – get someone to watch your kids! You’ll have plenty of chaos in the kitchen already, without adding a toddler or two who is trying to “help.” Get a babysitter for the day, or (better yet) send them to a grandparent’s or friend’s house for the day. Add ground beef and the rest of the ingredients (except sandwich buns) to a [url href="http://amzn.to/1NQoDcj" target="_blank"]6-quart slow cooker[/url] and mix well. Cover and cook on low for 6-8 hours, stirring occasionally. 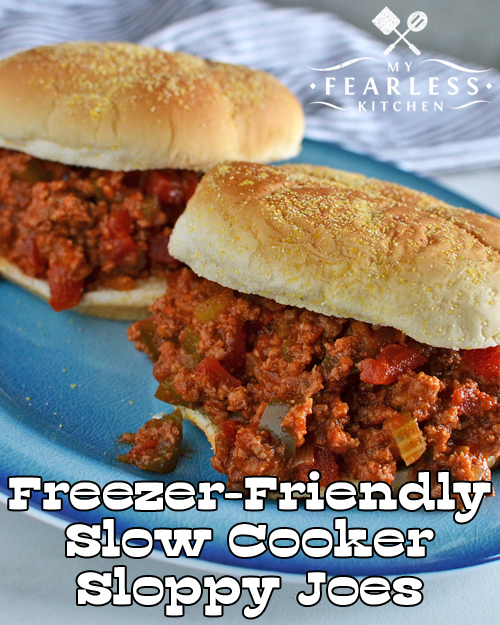 If the sloppy joe mixture has too much liquid, turn the slow cooker to high, and cook uncovered for another 30-45 minutes. Serve on split sandwich buns. Brown ground beef. Then put all ingredients (except sandwich buns) in a gallon-size Ziploc freezer bag. Label and freeze. Thaw freezer bag in the refrigerator overnight. Place all contents of the freezer bag in a 6-quart slow cooker and cook as directed. Let cool, then spoon into a gallon-size Ziploc freezer bag. Freeze flat. Thaw freezer bag in the refrigerator overnight. Reheat the meat mixture in a large skillet on the stove (medium heat for 15-20 minutes) or in a 6-quart slow cooker (high for 1-2 hours) until warmed through.